Strategically located in Fairfield County’s most prestigious business district, Connecticut Business Centers provide clients a corporate environment and prominent business address to rival those of Manhattan. Customers choose their ideal workspace from over 22,000 square feet of prime Connecticut office space, with access to contemporary offices to accommodate a staff ranging from one to 20 people. 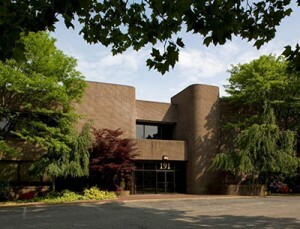 Connecticut Business Centers offers a premier Fairfield County office location and convenient access to major business centers. Our experienced team will be there to provide professional support and all the business amenities you could ever need. 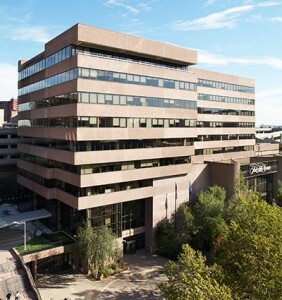 The handsomely-appointed center features three large team rooms and three private suites, as well as 65 additional private offices offering the finest office space in Stamford, CT. All are connected to an array of broadband options, including fiber optics and cable. Five conference rooms, with comfortable seating capacity for 4 to 35 attendees, are also available with state-of-the-art videoconferencing capabilities. Connecticut Business Centers is an excellent resource for long- or short-term office space, virtual office space and conferencing. With our team as an extension of your business, your company will enjoy greater visibility and an increased presence in the heart of Fairfield County. Let us be your executive office space solution in Stamford. Simply complete the form to the right or contact us directly at (203) 359-5600, and we will have you up and running in a day.